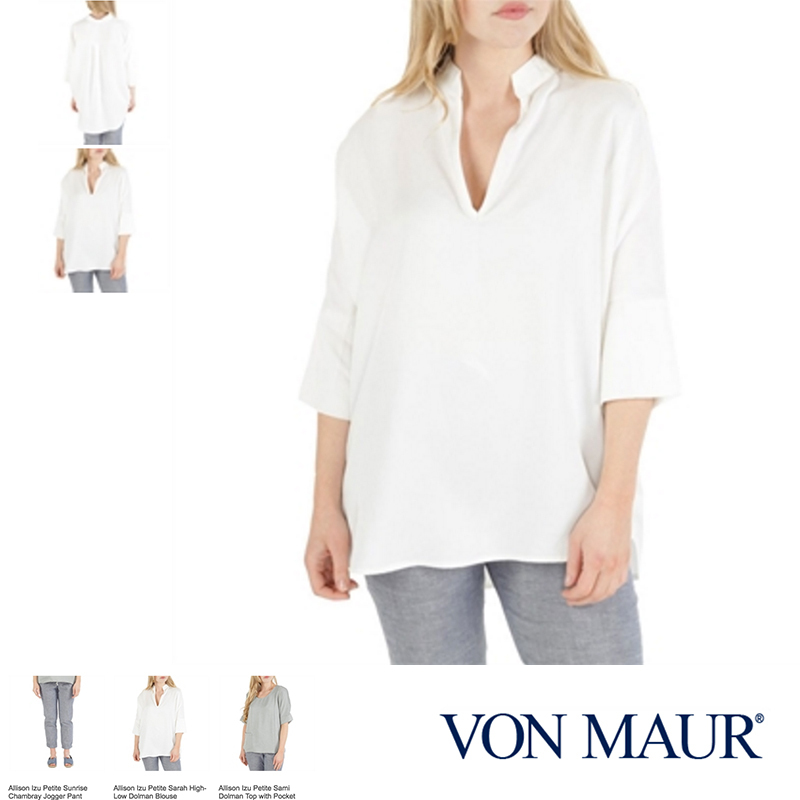 Congratulations to our Client Allison Izu for their placement in Von Maur (Online and In Stores). Allison Izu is a clothing company designed specifically for the petite woman, 5’6” and shorter. Hawaii born owner and designer, Allison Izu Song, created her brand with all of her personal experiences in mind. While attending the Fashion Institute of Technology in NYC, Allison, standing at 5’2” herself, realized that the industry was designing for ﬁt models who were 5’8” and taller. Recognizing a niche that desperately needed to be filled, she made it her mission to create clothing to ﬁt her own shorter frame and make fellow petite women around the world feel tall and slim. All Allison Izu products are also 100% made in Hawaii, featuring only quality fabrics, trims, and construction, to ensure products customers will love and keep for years to come.